The dressing rooms of the Harris Theater performance building are what some would call stereotypical. Eggshell-white painted cinderblock walls, no windows and bulbous Hollywood-styled light bulbs, meant to mimic the light effects of stage lights, outline wall-to-wall mirrors. Students, ranging in age and theatrical experience, strip down to undershirts and underwear to don hand-me-down or thrifted costumes, and then spend the rest of their time applying stage makeup to age their young faces. “See?” said Collin Riley, who is playing the protagonist, Franco Baldini. “You learn so much doing theater,” he said, jokingly, as a crew member in charge of costumes taught him the importance of properly tying his necktie. 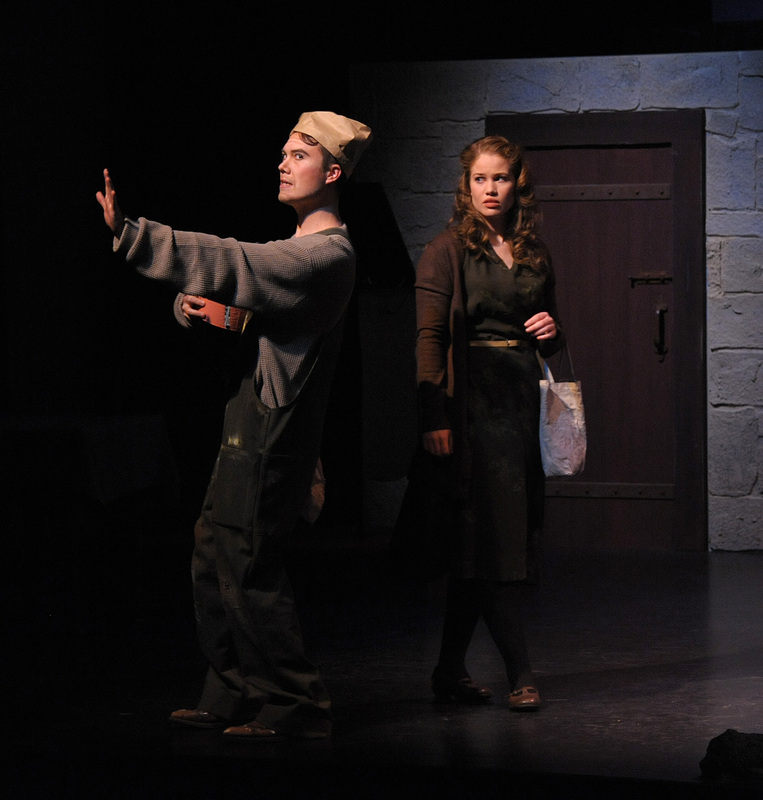 Every spring, these Mason students and faculty come together to form the Mason Players, a theatrical group that performs an array of plays and musicals that are generally free or low-cost to students with Mason identification. As a part of the Department of Theater’s Season of Magic & Transformation’s lineup of plays for the spring semester, the Mason Players are acting out the story of “Passaggio,” the goings-on of a small Italian town struggling to find a medium between reality’s responsibilities and the drive to achieve life’s larger dreams. been teaching at Mason since 1993 in technical theater. “Passaggio” is the only show this semester that was written by a Mason theater student, Michael Patrick Smith, who is now a faculty member for Mason’s English Language Institute. Smith studied in Mason’s playwriting program and the Theater of the First Amendment’s First Light play-development program when “Passaggio” was born. “When I directed the staged reading of Michael P. Smith’s life-enhancing new play ‘Passaggio’ two years ago I never dreamed it would ever see the light of a fully staged production,” said Director Stevie Zimmerman in the “Passaggio” playbill as her note from the director. The play’s cast of 21 Mason and Acting For Young People students, as well as the elaborate scenes and low budget, posed as a challenge in producing the show. something of which I am very proud,” said Zimmerman, concluding her director’s note in the “Passaggio” playbill. The moral of the play resonates strongly with not only the director and playwright of “Passaggio,” but with the student actors as well. College is a time of juggling multiple, day-to-day responsibilities, while attempting to achieve a larger goal of graduating and entering the world as a well-rounded adult. 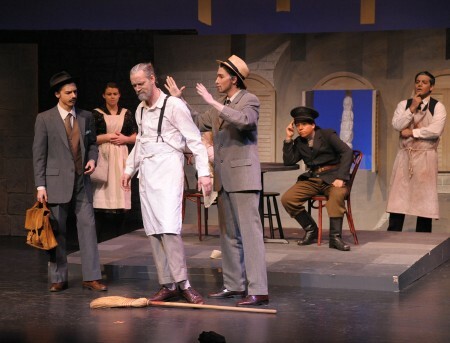 The cast and crew of “Passaggio” were the ones who ultimately brought the show together. Mentors and faculty were available for guidance to assure smooth production of the play, but the actors and crew members of “Passaggio” were a completely student-run group. “Passaggio” runs for two weeks at Harris Theater. Shows take place March 28-30 and April 4-6 at 8 p.m., as well as April 6-7 at 2 p.m.
Students receive one free ticket with a Mason ID and extra tickets are $15 for students. Faculty, staff, seniors and groups pay $15 per ticket, and and admission is $20 for the general public.